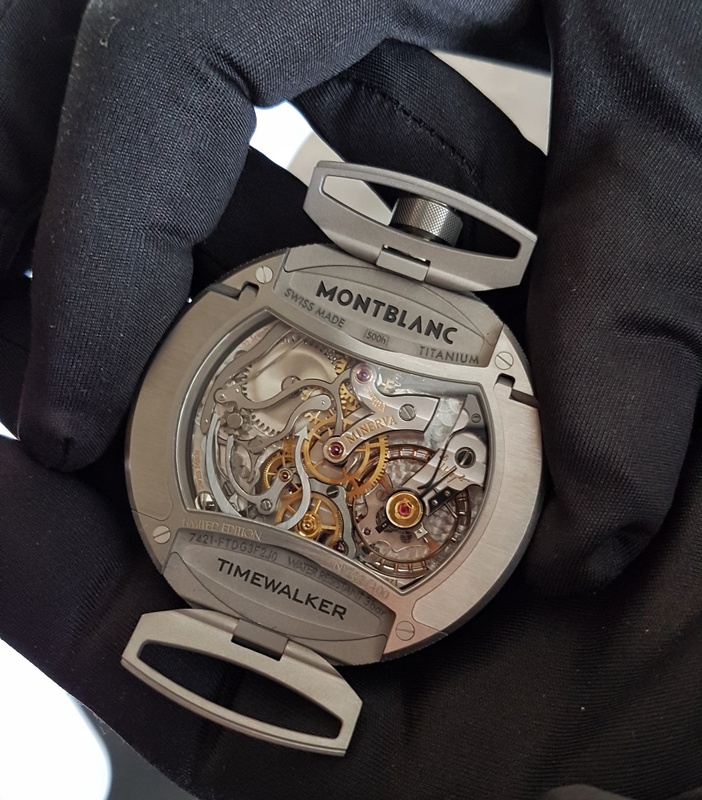 Earlier this year Montblanc formally relaunched the TimeWalker collection, with more integration of Minerva movements a key part of this re-invigoration. 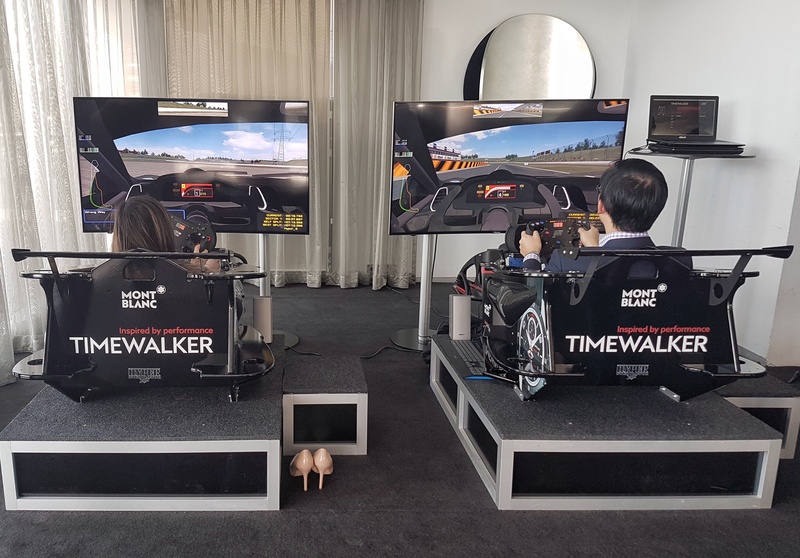 With the Rally Timer, TimeWalker Auto Date, TimeWalker Chronograph, TimeWalker Chronograph UTC and a 1/1000th TimeWalker Chronograph being the key pieces, Montblanc Australia recently had their local launch in Sydney, to which we were invited. 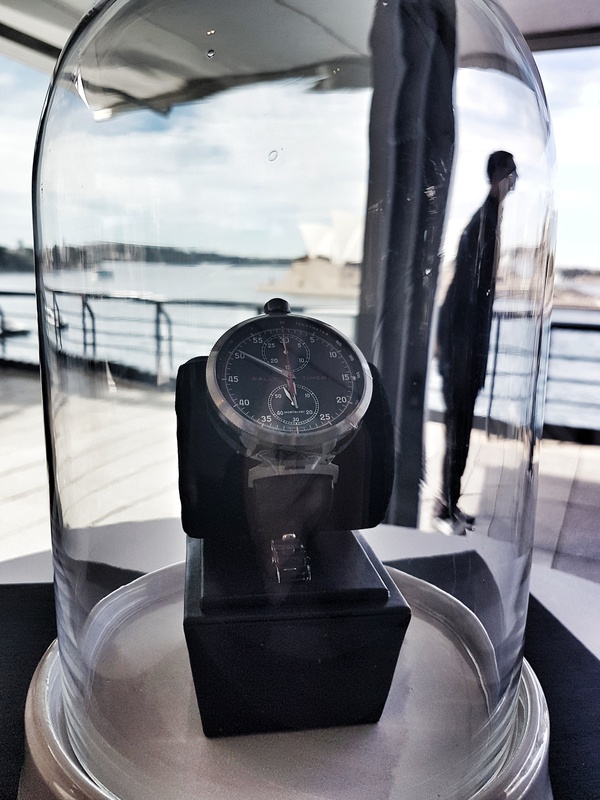 The highlight of the Sydney event was, of course, the limited edition Rally Timer, a model that is a nod to the Minerva archives and automobile history. The Montblanc Rally Timer case is designed for versatility. If we start with it in a wristwatch format (even at a ‘driver’s watch angle), it can be converted into a pocket watch by folding the strap attachments under the case and turning the case, after which it can be changed into a desk clock and placed on a table courtesy of the flip ‘arms’ built into its case back, which also do additional duty as lugs. You can also use the leather backing that comes with it to attach it to a (rally?) car’s dashboard as a stopwatch, if you dare. These changes involve turning case from 0 to 180 degrees (or from 3 to 9 o’clock). The black dial is a facsimile of a Minerva chronograph. 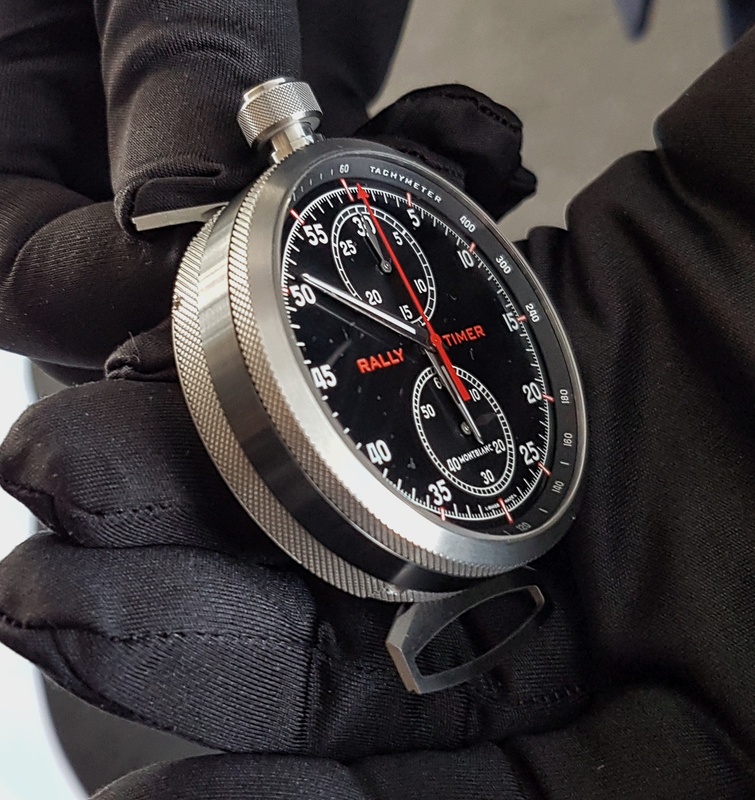 Hours and minutes are at the centre, as are the elapsed seconds for the chronograph function, small seconds at 6 o’clock, 30-minute counter at 12 o’clock, and a tachymeter scale to round it off. The Arabic numerals are accompanied by Super-LumiNova indices, black rhodium-plated luminescent dauphine hour and minute hands, and rhodium-plated sword second hand. As you will note from the pocket and desk options open to owners, this isn’t a small timepiece. In fact, it’s 50mm, and 15.20mm thick. However, the case is made of Grade 5 titanium, rendering it lighter than many stainless steel watches. If you look at it from the side, you will notice that the middle section has been knurled and coated with black DCLC. The crown is titanium, the monopusher titanium with knurled finishing. Inside is the manual-wind Manufacture Calibre MB M16.29 monopusher column wheel chronograph made and finished in Villeret. It beats at 18,00VPH and has a power reserve of 50 hours. The movement was inspired by the 1930s Minerva Calibre 17.29. As you can see, it’s not a small movement; it has a diametre of 38.4mm and a thickness of 6.3mm. Finishing wise, the plate is German silver with circular graining on both sides, hand-chamfered edges. The bridges, also German silver, have hand-chamfered edges and Côtes de Genève finishing. The going train is gold-plated. 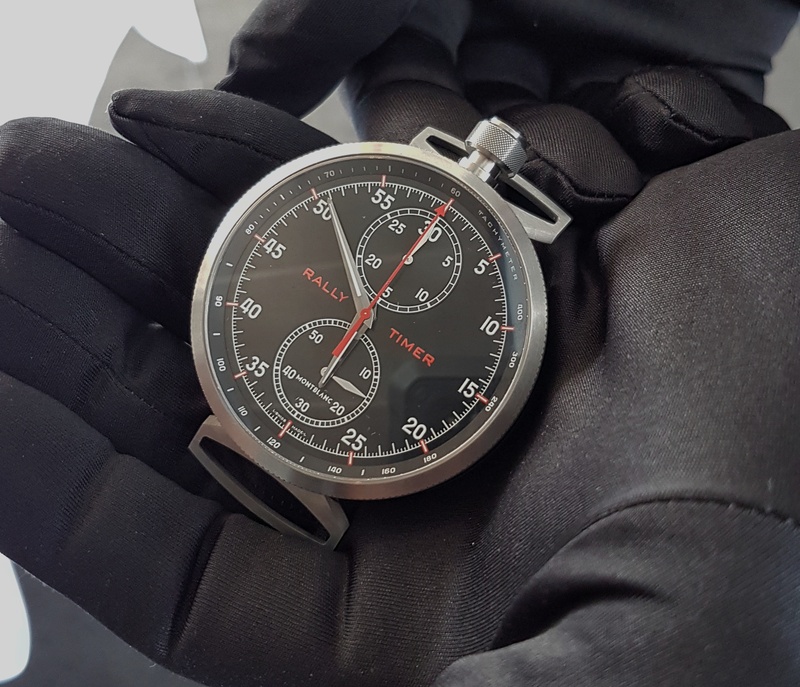 The showpiece of the TimeWalker relaunch, the Chronograph Rally Timer Counter is in a limited edition of 100 pieces with an RRP of 37,000 EUR.